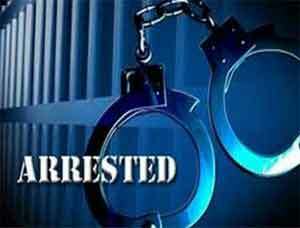 Ghaziabad: Seven people, including an ayurvedic practitioner, have been arrested for looting medicines worth Rs 2 crore when the consignment was being transported in a lorry last month, the police said Tuesday. The accused were arrested Monday and the looted drugs recovered from them. According to Senior Superintendent of Police (SSP) Vaibhav Krishna, the consignment was looted near Amrala Gate on the intervening night of August 13 and 14. The medicine consignment was being transported from a warehouse in Partapur in Meerut to Agra. Besides the looted medicines, the police 100 cartons of medicines that had stolen from Haryana by the accused. The robbers were identified as Sanjoo, Surendra, Omveer, Rishi, Aslam and Sonu, natives of Delhi and Baghpat in Uttar Pradesh. The BAMS doctor was identified as Anil Kumar. He was allegedly involved in selling the looted medicines to medical stores, the SSP said. An SUV, two trucks, two country-made pistols with three live cartridges, and four knives have been seized from them. Three gang members are still at large, the SSP said. Speaking about the involvement of the BAMS doctor, SSP informed that the gang members looted and then disposed of the looted medicines and medical equipment to the doctor. The doctor kept 30% commission while the gang members shared the remaining 70%. The seven accused have 25 cases of loot and cases of Arms Act against them at different police stations in Ghaziabad and Delhi, police said.